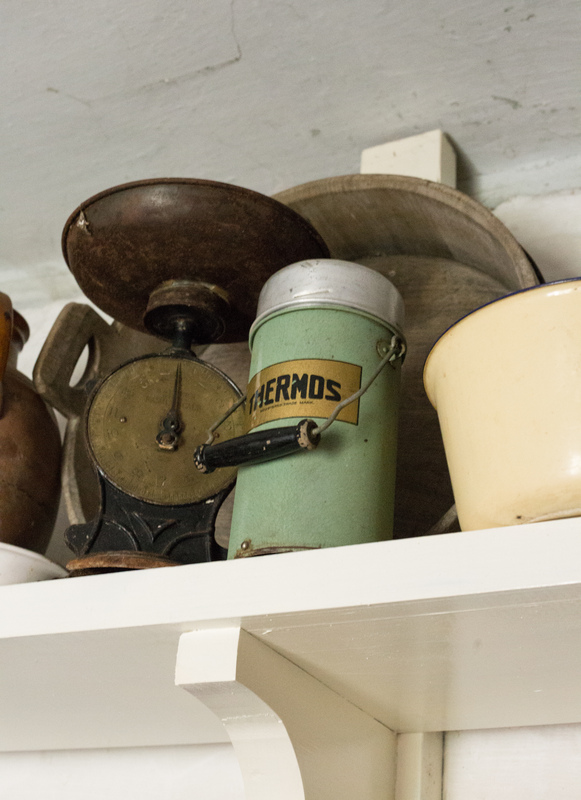 There are so many corners of this perfectly marvellous house, here are just a few more that particularly caught my eye. 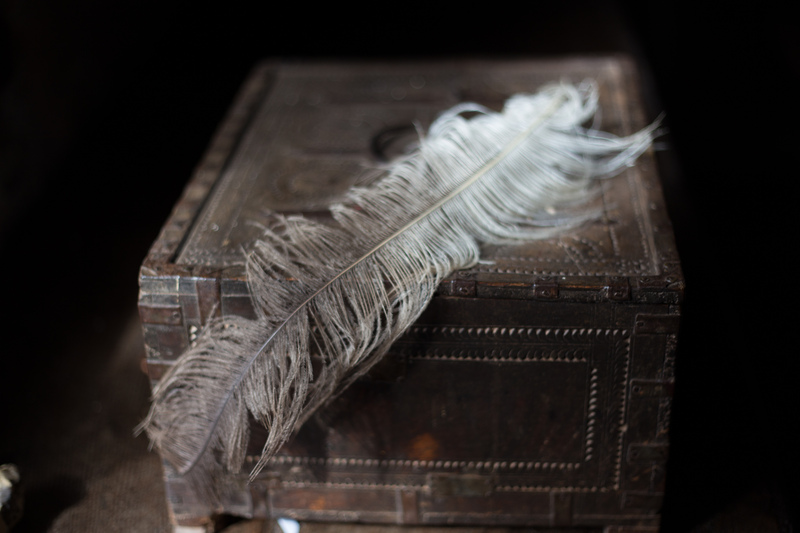 A large white feather, from whose tail I know not, looks very fine resting on this old treasure box, decorated with nail-heads. What dainty feet – the owner of these these faux? 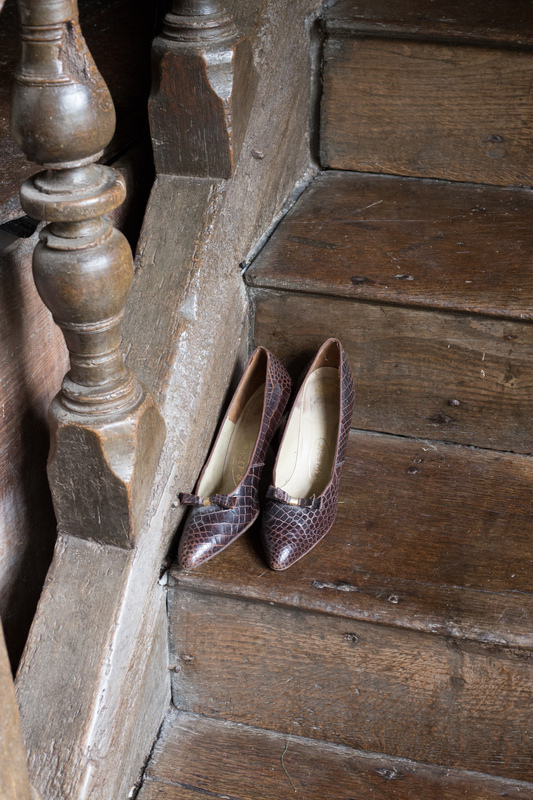 snakeskin shoes has left them here to make sure the ancient oak treads are not harmed by their metal heel studs, they sit here waiting patiently for her to return so that they may resume some marvellous adventure whilst protecting her feet. 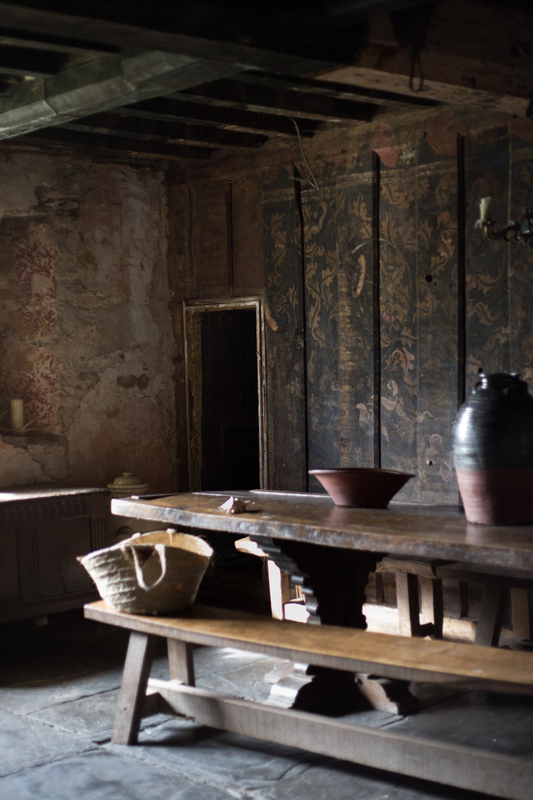 The current inhabitants of this great house are slowly discovering the depths of its history, painted designs on the window reveal, buried beneath more modern plasters and a unique example of painted oak panelling recorded as having been painted in the late 16th century. 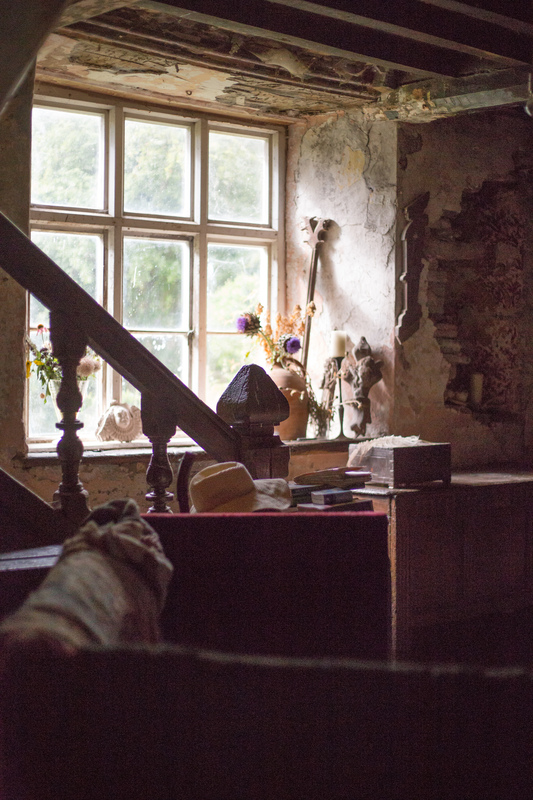 Standing in the great hall feels like a walk back in time, can I hear sounds from the early days or is it all in my head? Lastly a glimpse into a more recent past, a cousin of the Thermos vacuum flask of my youth, which my mother filled with homemade ice-cream in summer or french onion soup in winter to take on picnics at the beach.